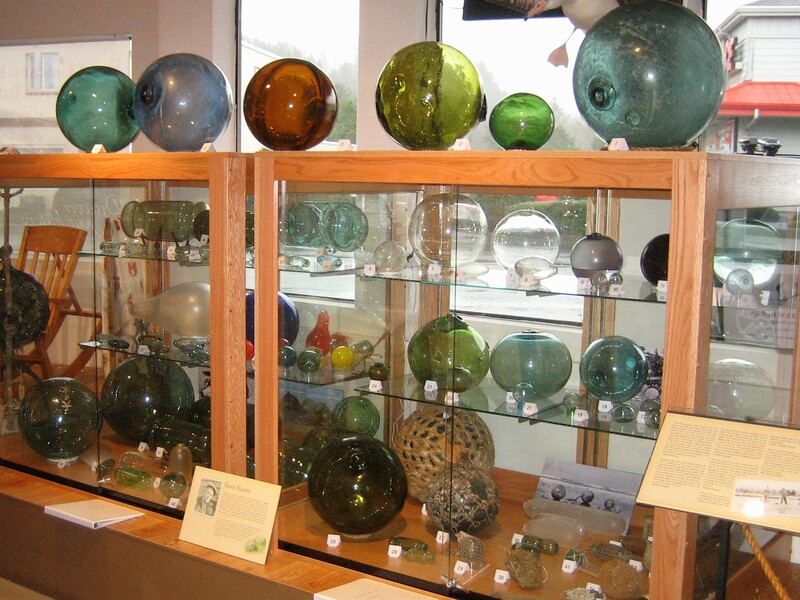 Come join us at the North Lincoln County Historical Museum for Antique Week and the opening of our new exhibit on Japanese Glass Floats on Saturday, February 10th, from 1 p.m. to 4 p.m. Avid collector and float expert Nick Simpson, along with members of the float community, will be there to discuss and answer questions about the exhibit. Also on exhibit from the collection of Nick Simpson is a display of beautiful American made glass floats. If you love floats, don’t miss this event! For centuries the Japanese have had individual families own and operate the fishing industry along the coasts of the Japanese islands. This exhibit displays the various sizes, shapes, colors, and methods used in glass floats developed for the fisherman. Fisherman initially made their own floats from whatever glass was available to them. This consisted of recycled glass from mostly bottles. That is why we see a wide variation of shades of green glass used to make these floats. 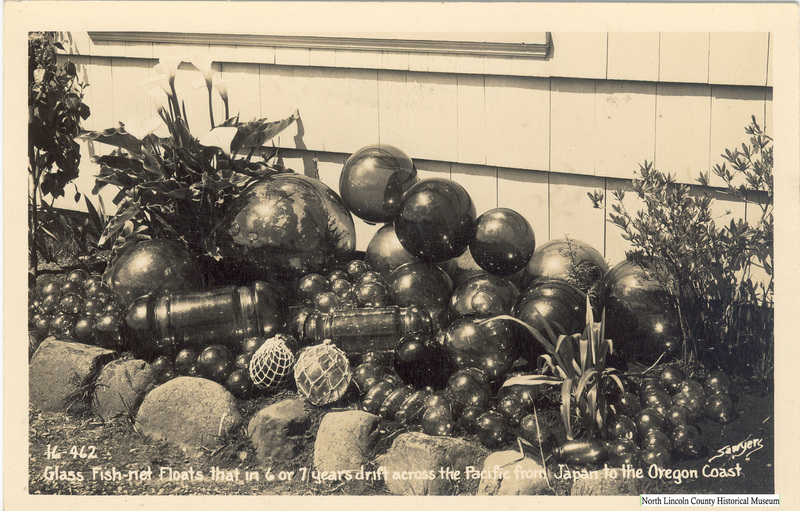 Over the years fairly large glass blowing companies were developed to supply the fishermen with hand blown floats. This process involved hundreds of glass blowers, as each float was handmade. Floats in this exhibit were lost by fisherman at sea, and some still have their nets. They were caught up in the pacific currents and eventually, after long periods of time, were deposited by the tide on the west coast beaches of North America. 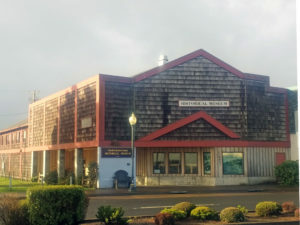 Beachcombing became a hobby for some individuals that lived along the pacific shores, and large and small collections have evolved from these collectors. This exhibit displays floats from two large collectors that span many years. JIM WATSON (deceased) donated several years ago to the museum, a cross section of sizes, shapes, and types of Japanese glass fishing floats. Jim had probably the largest and most extensive collection of Japanese glass floats at the time he made this donation. He was instrumental in giving educational talks at the museum, of which there are recordings. 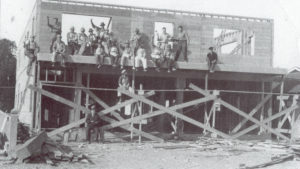 The Watson Foundation was formed to hold his collection following his death. NICK SIMPSON began float collecting when he found his first float while on a college marine biology field trip to the Oregon coast. After graduation from professional school, Nick and his wife moved to the Oregon Coast, and over the next 55 plus years has been an avid collector of Japanese (Asian) glass fishing floats. Recently he has helped assemble and create this current exhibit with floats he has donated, along with the Watson Foundation Floats.